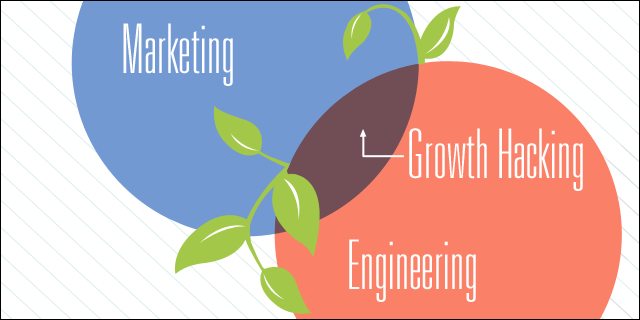 Growth Hacking for Startups: What Is It Really? Like SEO or content marketing, no one can completely agree that “growth hacking” is the best phrase to describe the practice. Some in the industry see it as just another buzzword that will fade away, while others believe it’s the best name we have so far to describe the tactics used for company growth. Initially I thought growth hacking meant finding “one weird trick” to create explosive growth. As most things in life, there is no silver bullet to solve the problems presented, so this original notion was wrong. Growth marketers instead realize that it’s a combination of small testing and iterations that promote rapid growth. What follows are a few key tenets of growth hacking from industry experts that highlight this idea. Coauthor of the upcoming book Unlocking Growth, Morgan Brown is also part of the growthhackers.com team. What we can glean from above is that the idea of growth hacking is not limited to those two words, and there are no amazing alternatives to use instead. At the end of the day, startup marketers should learn how to make their product shareable, accessible, and addicting for users not by a single trick, but by adopting the growth hacker mindset of continuous testing, curiosity, and improvement. Joe Robison is a seasoned digital marketer, currently leading marketing at Coastal Creative Reprographics in San Diego, CA. He is the founder of Green Flag Digital and loves the place where humans and tech collide. Get his latest free guide, The SEO Emergency Checklist.